Macrophages are known as the “big eaters” in the human body, and are present in almost all tissues. Download our poster for practical tips on generating macrophages in vitro, and read more about their role in homeostasis and pathologies. 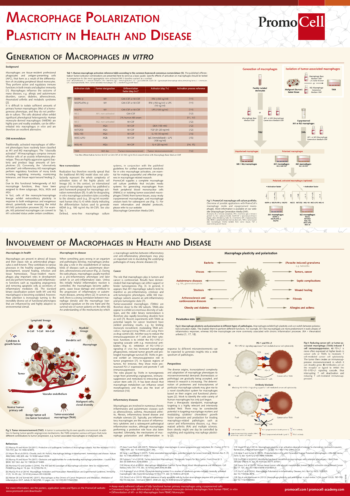 Fill the form to download our poster "Macrophage Polarization: Plasticity in Health and Disease" (DIN A1: 594 x 841 mm; PDF).